Changes have been taking place day-by-day in Beijing since China's reform and opening to the outside world. As summarized in a popular saying, Beijing is growing taller with more and more skyscrapers while growing younger with the improving living standards and more diversified life style. This is Beijing, old and young, full of attractions. It is our sincere wish that you will make the best of your time here and we believe you will bring home more than what you expect. Beijing Lama Temple is one of the largest and most important Buddhist Tibetan monasteries in the world. Construction and works in the church to unite the Han Chinese and Tibetan styles. This story is as follows. Construction work at the Yong He Gong Lama Temple began in 1694 during the Qing Dynasty. Initially, he served as official residence for court eunuchs. It was then converted to a court Prince Yong (Yin Zhen), son of Emperor Kangxi and Emperor Yongzheng himself a future. After Yongzheng ascension to the throne in 1722, half of the building was converted into a monastery, a monastery for monks of Tibetan Buddhism. The other half was left of the Imperial Palace. After Yongzheng’s death in 1735, his coffin was placed in the temple. Emperor Qianlong, Yongzheng’s successor, gave the temple imperial status is indicated with its turquoise tiles replaced by yellow tiles, which were reserved for the emperor. Subsequently, the monastery became a residence for large numbers of Tibetan Buddhist monks from Mongolia and Tibet, and so Yonghe Monastery has become a national center of Lama administration. The temple is said to have survived the Cultural Revolution because of the intervention of Prime Minister Zhou Enlai. It was opened to the public in 1981. Beijing lies in the continental monsoon region in the warm temperature zone and its climate represents as hot and rainy in summer and cold and dry in winter. The four seasons in Beijing are distinct. It is dry, windy and sandy in spring and hot and rainy in summer. August and September are the end of summer and the beginning of autumn in Beijing. This is the best season of the year when the sky is blue and clear; the air is crisp, mild and humid.Beijing features a four season, monsoon-influenced climate, typical of East Asia, with cold, windy, very dry winters reflecting the influence of the vast Siberian anticyclone, and hot, humid summers, due to the monsoon. All the registrants should make their own local transportation in the city. Travel by taxi is the most convenient and fastest option for the journey. Beijing is not only famous for charming natural scenery but also for large numbers of taxis and the cheapest taxis cost: RMB2.00 per km with base price RMB13.00! Please prepare some changes in advance for taxi fee or city bus cost in the staying in Beijing. It takes about 40 minutes by taxi from the Beijing Capital Airport to Beijing Friendship Hotel, the taxi fare is about RMB 120 (approx. US$20), tollgate fee is RMB10. Whenever you arrive at the airport, there are always many taxis waiting at the airport to pick up passengers. We suggest you wait for taxi at the airport designated taxi station (Exit No. 7). Please ask for a receipt with the taxi. 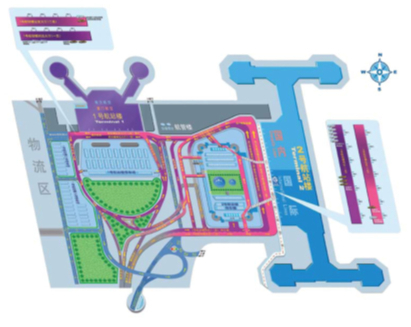 PS: Traffic information about the Beijing Capital International Airport (北京首都国际机场) and Beijing Friendship Hotle (北京友谊宾馆) can refer Appendix. Route 1: You will take the Subway Line 4 from/to Beijing Capital International Airport (北京首都国际机场) to/from RenMin University station (人民大学站) and you take the Exit D. Between Exit D of RenMin University station (人民大学站) and Beijing Friendship Hotel (北京友谊宾馆), you can walk to Beijing Friendship Hotel (北京友谊宾馆). Route 2: You will take taxi. The distance is about 33 km and you need to pay about 120 RMB. Route 3: You will take Shuttle Bus Line 4 from/to Captial International Airport (北京首都国际机场) to to/from Beijing Friendship Hotel station (友谊宾馆站). The fee is about RMB16. 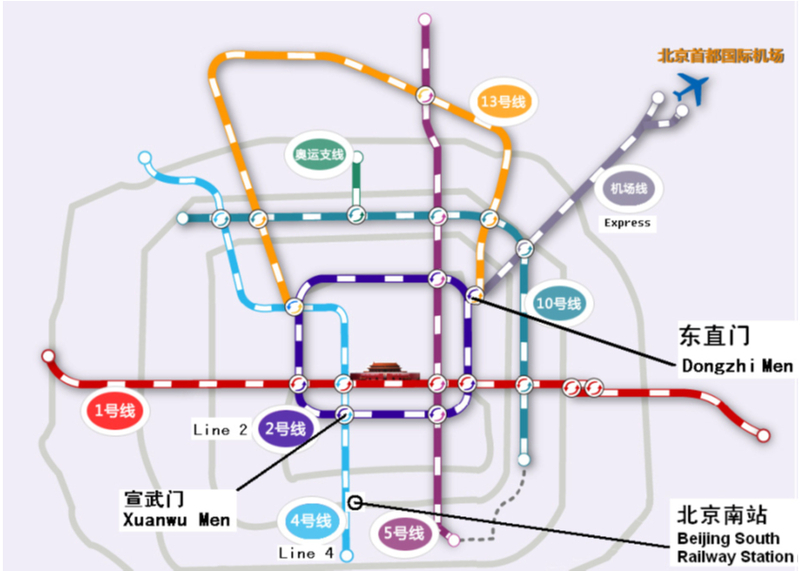 Route 4: You take Subway Line 1 at Tian Tian An Men to Xi dan station (西单站) and change the Subway line 4 to the RenMin University station (人民大学站). You take the Exit D. Between Exit D of RenMin University station (人民大学站) and Beijing Friendship Hotel (北京友谊宾馆), you can walk to Beijing Friendship Hotel (北京友谊宾馆). Route 5: You take Subway Line 1 at Wang Fu Jing (王府井) to Xi dan station (西单站) and change the Subway line 4 to the RenMin University station (人民大学站). 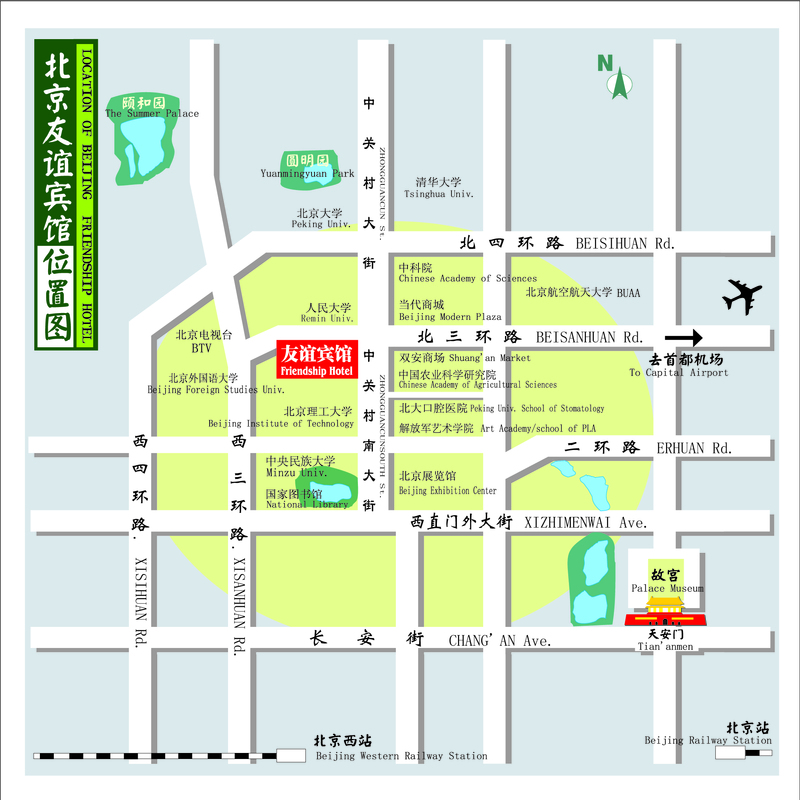 You take the Exit D. Between Exit D of RenMin University station (人民大学站) and Beijing Friendship Hotel (北京友谊宾馆), you can walk to Beijing Friendship Hotel (北京友谊宾馆). Route 6: You take Subway line 4 Bei Gong Men station at Summer Palace (颐和园) to RenMin University station (人民大学站). You take the Exit D. Between Exit D of RenMin University station (人民大学站) and Beijing Friendship Hotel (北京友谊宾馆), you can walk to Beijing Friendship Hotel (北京友谊宾馆). lCurrency: Renminbi (RMB) is the only currency to be used in China. RMB is also called Chinese Yuan. The unit of Renminbi is yuan and with smaller denominations called jiao. The conversion among the two is : 1 yuan =10 jiao. Paper notes are issued in denominations Aof 1, 5, 10, 20, 50 and 100 yuan. Coins are issued in denominations of 1 yuan; 5 jiao; 1 jiao. Money exchanges by cash or travel’s cheques can be made at the branches of Bank of China at Beijing Capital International Airport, hotels and tourist stores. Please remember to keep the receipt to exchange back to foreign currency when leaving China. lCredit Cards: Visa, Master Card and American Express are the most commonly used in China. Cards can be used in most middle to top-range hotels, department stores, but they cannot be used to finance your transportation costs. lWater: Bottled mineral water can easily be bought in all stores and street kiosks for RMB 3. And sometimes hotels provide it free of charge. Furthermore, potable water is only available in a few 4 to 5 star hotels, while water in thermos flasks in rooms is usually non-potable tap water. lTipping: Tipping is not customary outside of the foreign joint-venture hotels and is officially discouraged. But hotel bellboys usually expect RMB 2-5 per bag. lAttention: Smoking is prohibited in public places in Beijing, such as hospitals, office buildings, theatres, cinemas, museums, planes, and trains. IEEE ICMA 2015 will be held in the city of Beijing, at Beijing Friendship Hotel, Beijing, which serves as both the official conference hotel and the venue for the technical program. Being a 5 star hotel, it is situated in the center of the prosperous business district of Beijing within easy access to the subway station. The stylish design reflects the perfect blend of art and architecture, where you with always feel at home thanks to the ambience and charm of personalized 5 star hotel service, where the word over make it their choice to conduct business. A conference registration desk will be set up and opened at the Freiendship Palace (友谊宫) and Building 8 (嘉宾楼) of Friendship Hotel from August 2 (15:00) to August 5 (16:45) as followings. The social events organized by the IEEE ICMA 2015 include the conference reception, the awards banquet, the conference registration, the farewell party, etc. The Conference Reception will be held from 17:30 to 18:30 on August 2, 2015 at Conference Room 3, 2F, Friendship Palace, Beijing Friendship Hotel. All the conference participants are welcome to join this event. The Tutorials & Workshops will be held from 13:30 to 17:30 on August 2, 2015 at Conference Room 4, 2F, Friendship Palace, Beijing Friendship Hotel. All the conference participants are welcome to join this event. The Awards Banquet will be held from 18:30 to 21:00 on August 4, 2015 at Banquet Hall (Junying Ballroom), Friendship palace, Beijing Friendship Hotel. All the conference participants are welcome to join this event. The Farewell Party will be held from 17:00 to 18:00 on August 5, 2015 in Meeting Room 5, Building 8, Beijing Friendship Hotel. All the conference participants are welcome to join this event. The IEEE ICMA 2015 Lunch will be held on from 11:30 to 13:30 on August 3, 4, 5 at Restaurant Dining Hall, 1F，Friendship Palace. All the conference participants are welcome to join this event.